A morning round the bookshops of Hexham – I like The Creamy Coffee Pot’s fruit scones – and we returned home via Warden. It’s a small community just north west of the splitting of the two Tynes (North and South) – I think the word I want is “confluence”, but it is many years since I got half a Geography degree (if anyone leaves a comment about “colouring in” I will be most upset!). 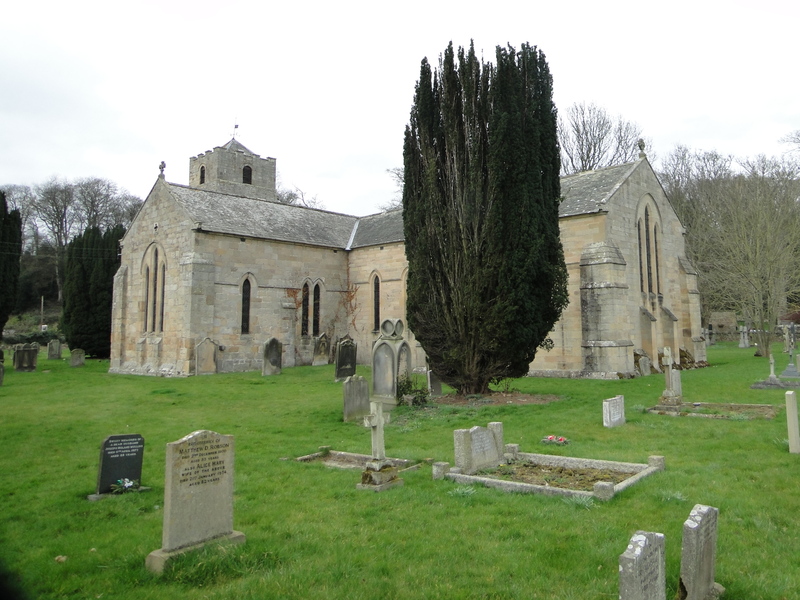 Lovely view of the church as you come across the A69, over the South Tyne, right under the railway, and to the church at NY914665. Gorgeous. Good website for the benefice at www.sjlwn.org. Their magazine is called “The Stanegate” – not a bad magazine, but the print is very small. 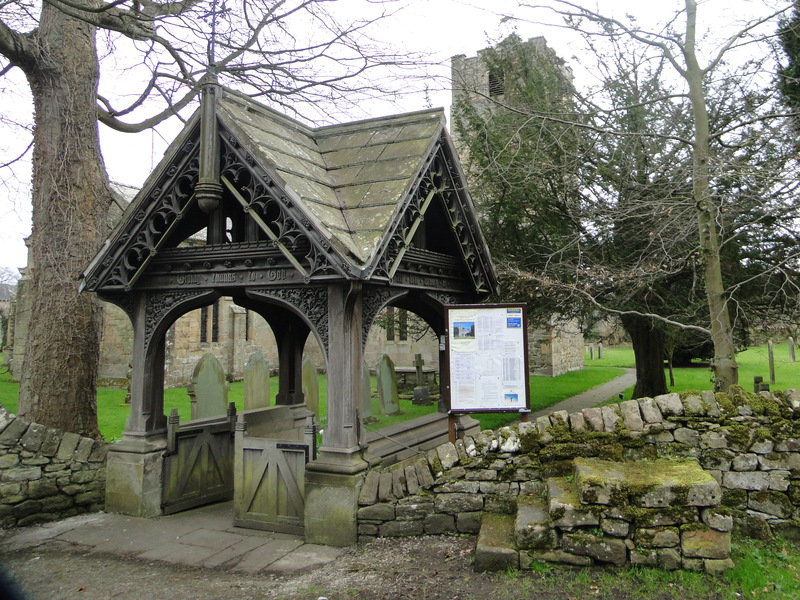 Rather a – trying to search for the right word – “gothic” lych gate. 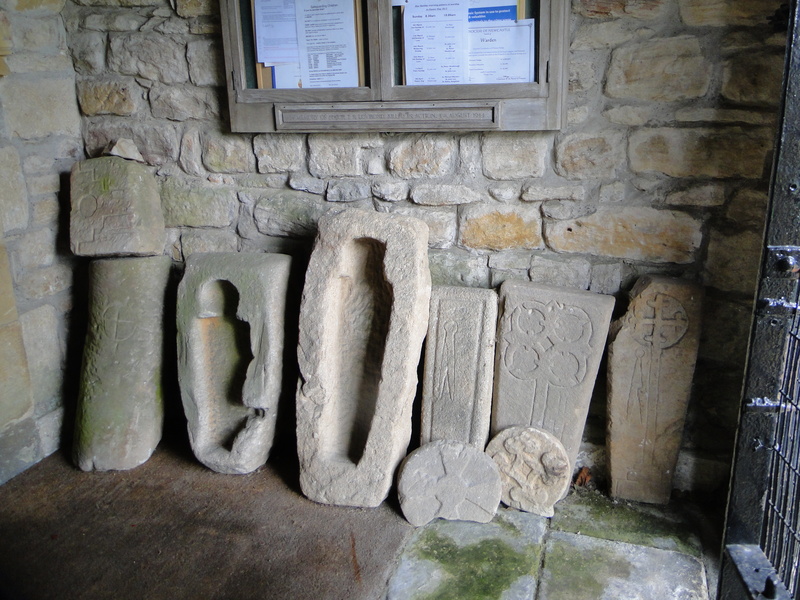 Apparently it was built by the Reverend Richard Cruddas in 1903 as a memorial to his wife. (I have suggested to Julie that, as Ponteland has no lych gate, I could build one in memory of her). 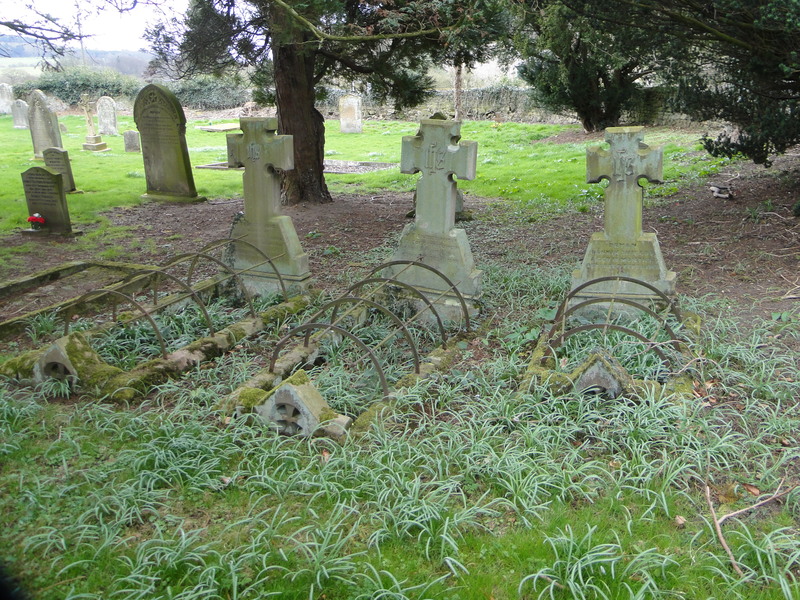 The iron hoops over the graves are supposed to be a device to stop the body snatchers … I was tempted to dig down and see if it worked … . 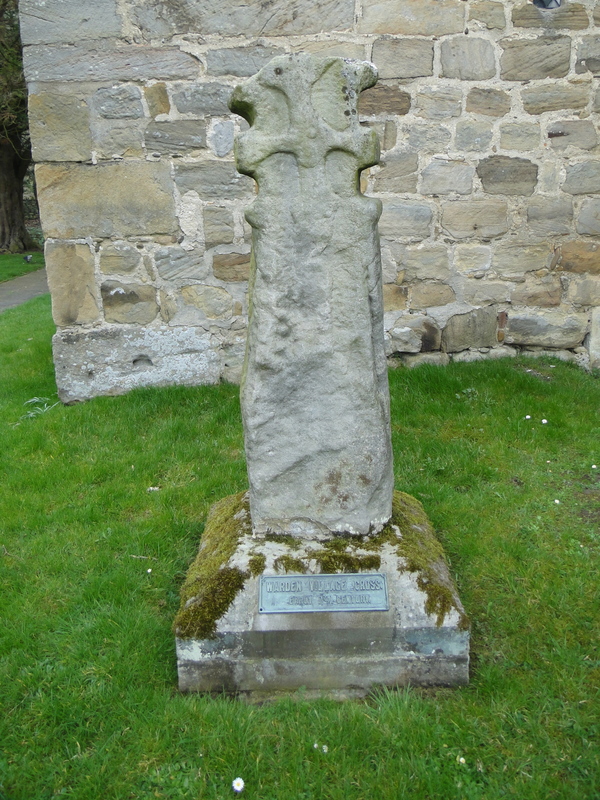 According to Pevsner, this stone cross dates to the 7th century (and Pevsner uses the word “confluence”). 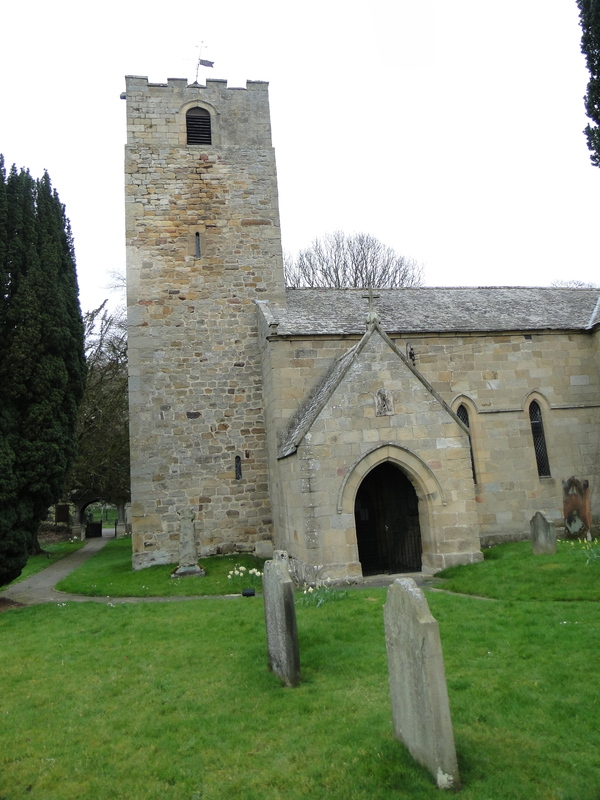 The church dates back to 704AD when John of Beverley, Bishop of Hexham, founded an Oratory here. A nice place to retreat for private prayer. The lower part of the tower is Saxon, with some reused Roman masonry – it always amazes me that there is any Wall left since so much of it has been nicked. 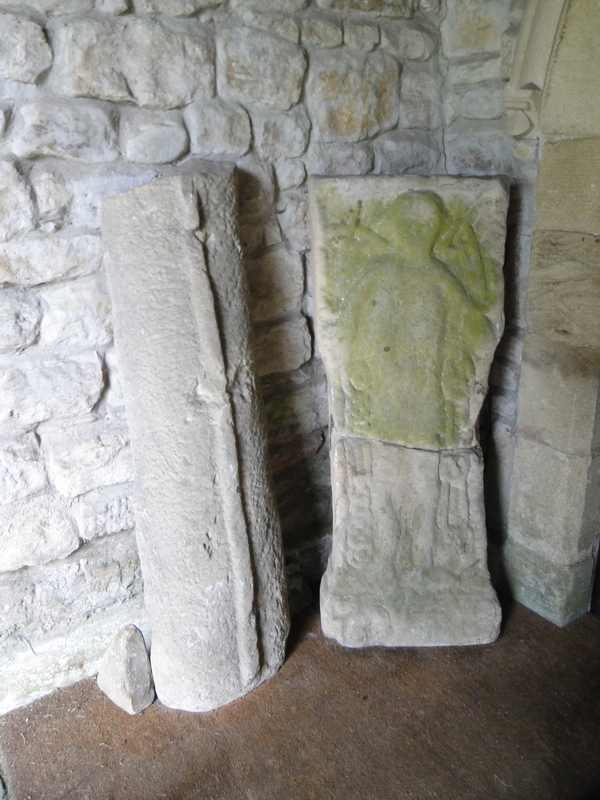 In the porch sits the Warden Man – an early 11th century carving on a roman altar – and “Various pre- and post-Conquest slabs and fragments” (Pevsner). Inside a well-cared for church, but my photos were too dark. 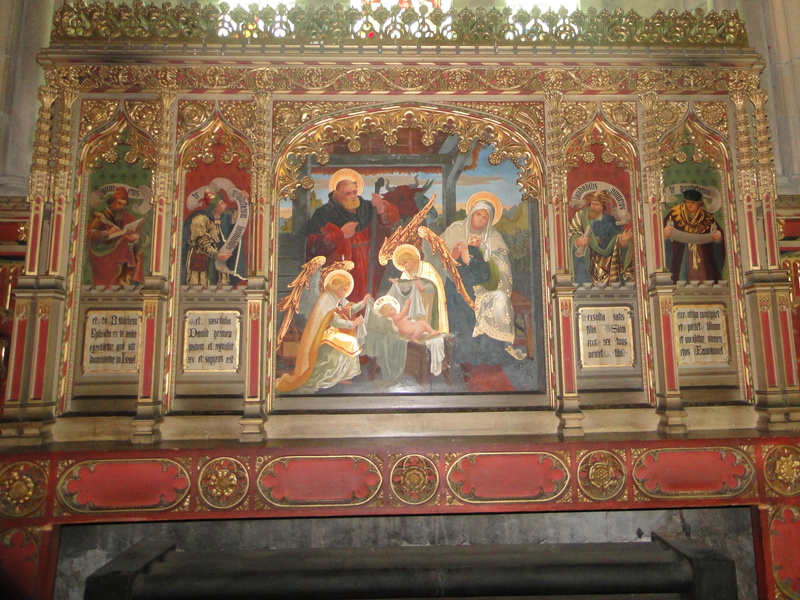 Nice ancient arch at the west end, and coloured late 19th century reredos at the east. 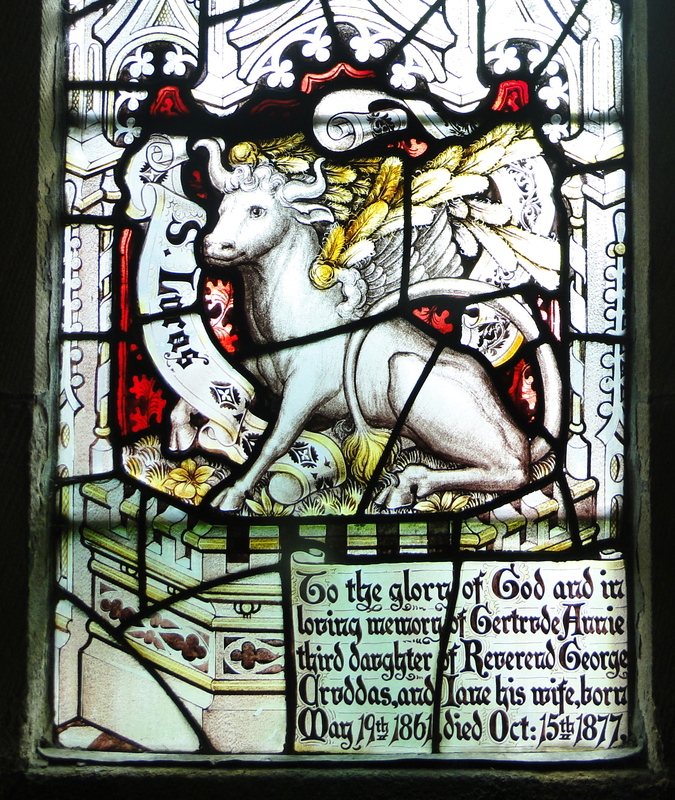 What I liked most in the church were the Kempe stained glass windows. 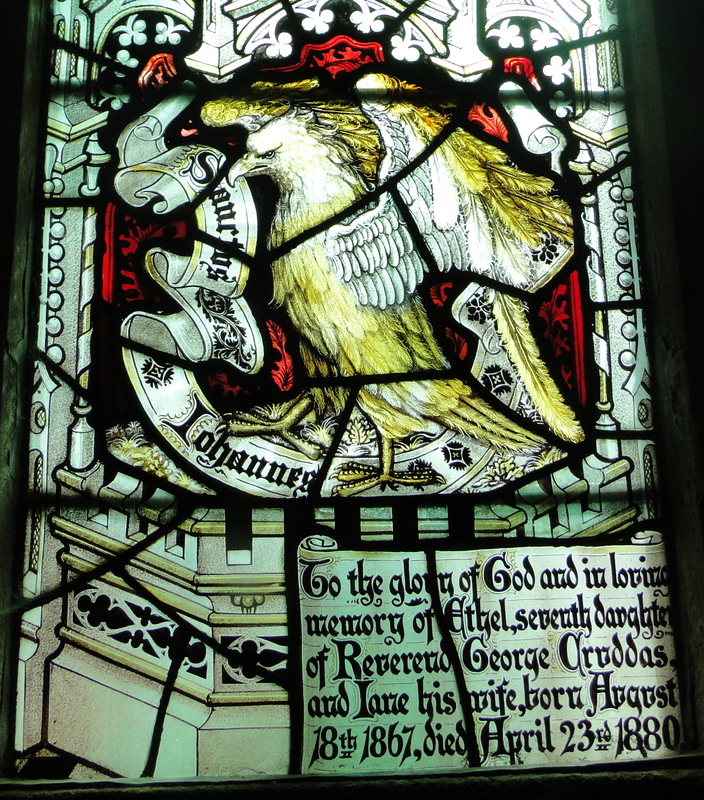 Interestingly, the guidebook doesn’t mention them, Pevsner simply says “much Kempe glass 1889 and 1891”, and the Kempe website – www.churchmousewebsite.co.uk/Kempe_mainpage.htm – doesn’t list this church as having any of his windows. 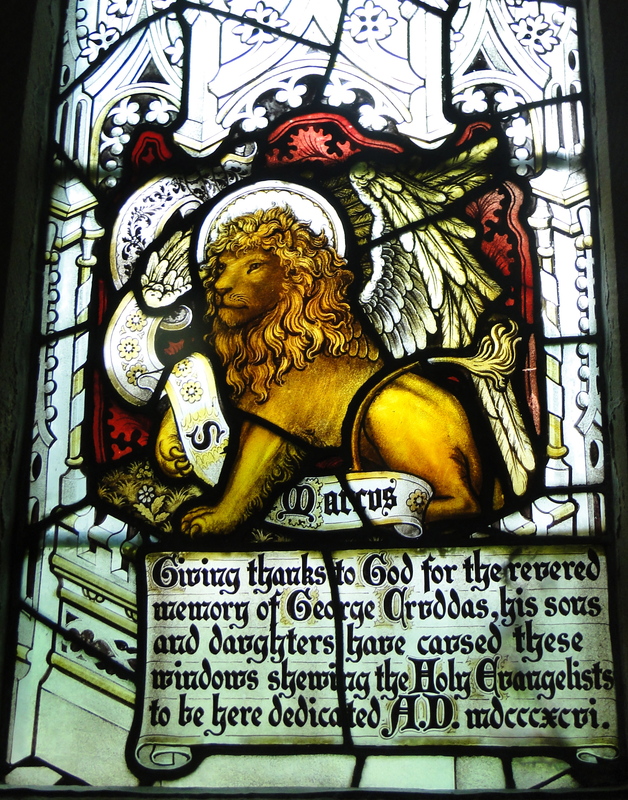 It does give a nice quote from The Reverend Professor Sir Owen Chadwick: “the art [of stained glass] attained its Victorian zenith not with the innovation of William Morris or Edward Burne-Jones but in the Tractarian artist Charles Eamer Kempe”. Owen was Master of Selwyn College Cambridge, good friend to my grandad, and at our wedding. (It was the only time I impressed my mother-in-law – by having a knight of the realm at our wedding). I’ve just found an interview with him at www.youtube.com/watch?v=SnYtmnA5Hng. 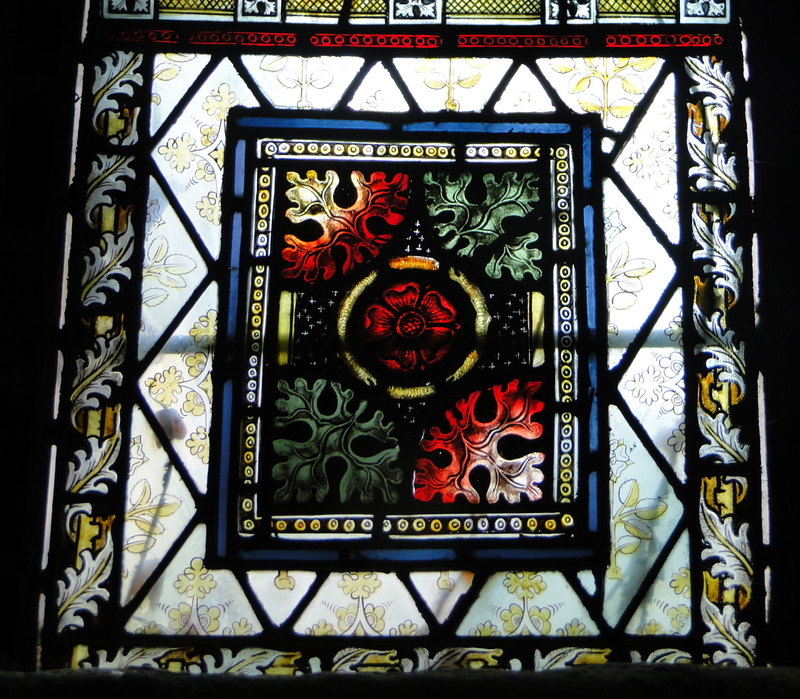 One of the most frightening things I ever did was go back to Selwyn and preach – with Owen and John Sweet (my New Testament lecturer – may he rest in peace) in the congregation. They were very nice to me. 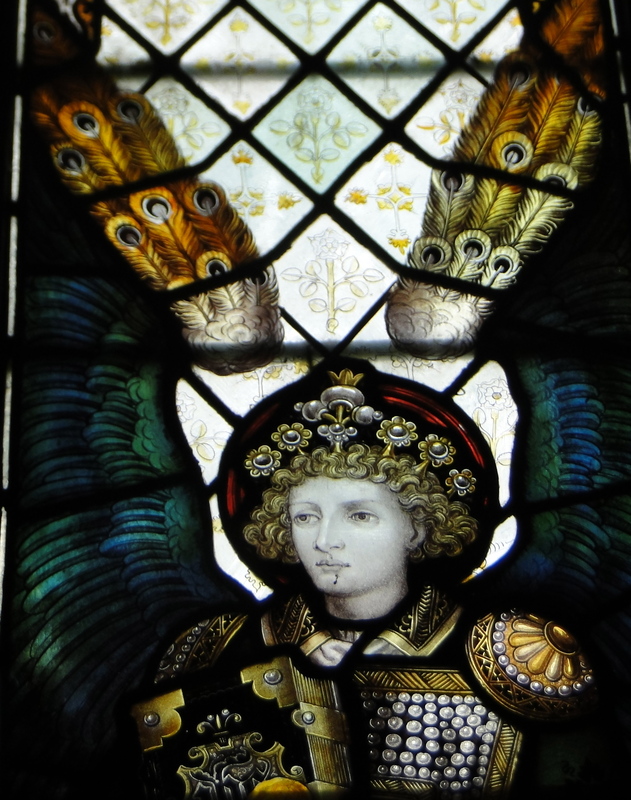 Anyway – wonderful angels, and four windows each with a gospel writer. (Why did I only photo three of them? 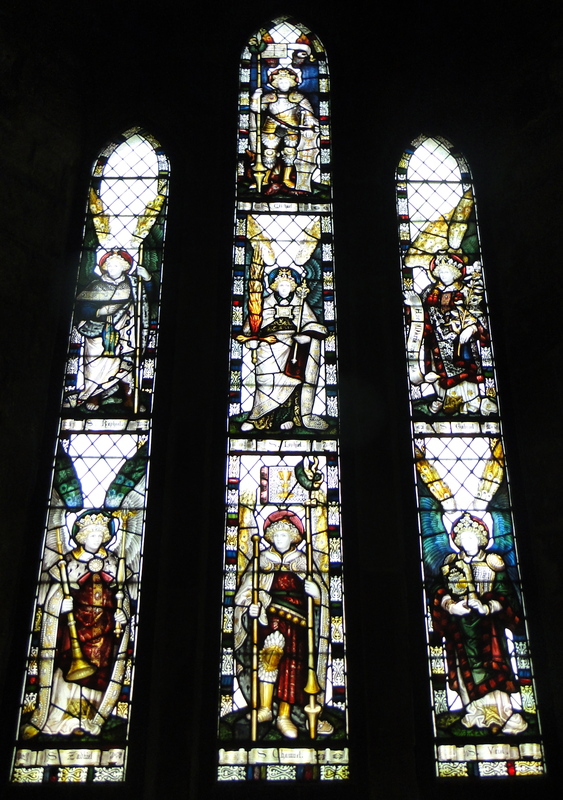 I need some training on how to photo stained glass windows). No doubt, however I set them out, WordPress will mess it up – so I apologise for the layout.